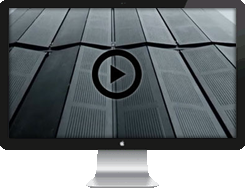 Construction video update is a new monthly ebulletin featuring the very latest videos from manufacturers, suppliers and educational establishments who serve the Architectural, Building and Construction Industry. Simply click on any one of the video images below to view footage of the very latest product developments effecting your marketplace. This ebulletin automatically links to our website www.constructionvideos.co.uk where all of these videos are stored along with a category section that in time will list a comprehensive library of construction related videos. This video platform is also supported by a dedicated You Tube channel. Our website www.specificationonline.co.uk has an exciting new look and features a range of news and product information. This easy to navigate online platform has been developed to make available the vast source of construction information running through our print and online business to your desktop, tablet or mobile application. You received this email as a subscriber to a Tanner Stiles Publishing Ltd publication.